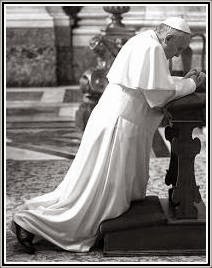 The 2019 Ordo for the traditional (1962) Roman Missal and Breviary is now available again from Romanitas Press as mobile apps for both Android and Apple devices. 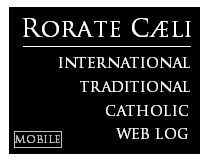 This digital version of the printed Ordo for mobile devices is not only handy for the traveling clergy who follow the traditional missal and breviary, but also for the laity as a liturgical calendar! The Ordo app is easy-to-use, and each entry lists the class of day, its proper Mass (or options), Office’s color, and variable parts of the Mass and Breviary. Also included are helpful notes such as when a Requiem Mass is prohibited—and specifically for pastors, pulpit announcements of the liturgical year. Best of all, once downloaded to your device, no Internet or WiFi connection is necessary in order to access the Ordo app! And if any updates are made, these should automatically update on your device once you are connected to a wireless network. 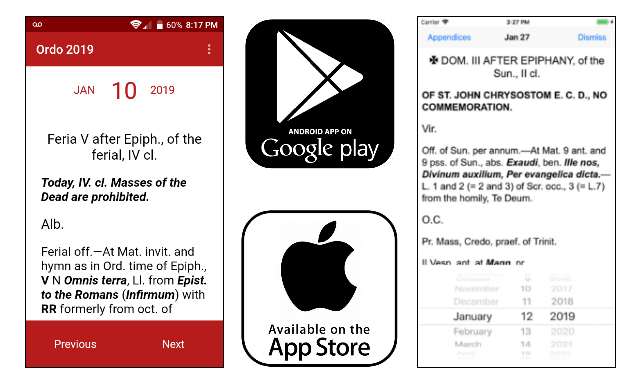 The 2019 Ordo app is available for just $4.99 at Google Play Store for Android, and Itunes Connect for Apple.